While it may feel like you’re just starting to get a handle on your 2018 regulatory reporting duties, it’s time to start thinking ahead to 2019. In last week’s post, we reviewed the major changes that CMS finalized in their 2019 IPPS final rule. This week, we’re taking a closer look at what’s in store for one of the major regulatory programs in 2019—the Hospital Inpatient Quality Reporting (IQR) program. Below are four key things to note about the 2019 IQR program. Remove certain measures that are already a part of one of the four other quality reporting programs (CMS refers to this as the ‘de-duplicating’ of measures). The eCQMs for the IQR program in 2019 will remain the same. Be sure to check out the 2019 IPPS final rule fact sheet for a full IQR measure list. 2. The six healthcare-associated infection (HAI) patient safety measures will remain the same. CMS had originally proposed to remove five HAI patient safety measures next year, but they ultimately opted to push back the removal date. That means that all six HAI measures will remain in the IQR program for 2019. 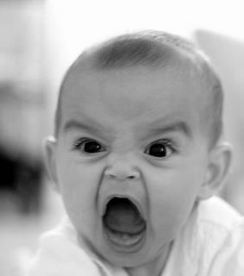 The eCQM reporting requirements are the same for 2019. 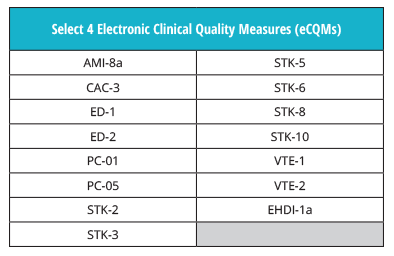 Just as in 2018, hospitals must choose to report four eCQMs from the IQR measure set. In addition, hospitals will still be required to report on one self-selected quarter from 2019 by the end of February, 2020. You won’t be able to get out of it this time, folks. 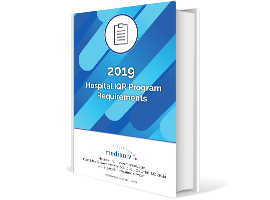 Unlike 2018, hospitals are required to use the 2015 edition of CEHRT for IQR reporting in 2019. The 2014 edition of CEHRT can no longer be used. P.S… Did you know that Medisolv is already certified to the 2015 edition of CEHRT? Don’t do it alone. If you want to ensure for a successful IQR submission, partner with a quality reporting vendor like Medisolv. Remember, Medisolv’s ENCOR Quality Reporting and Management software solution provides hospitals with the tools they need to meet the CMS IQR reporting requirements, year after year. And we don’t just offer software. Our expert clinical consultants will guide your hospital through implementation, validation and submission. Let’s conquer your 2019 IQR requirements together. Contact us today. 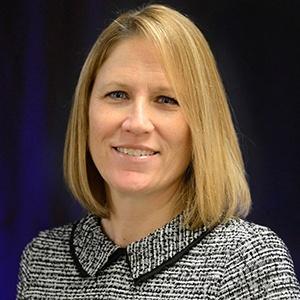 Kristen Beatson is the Director of Electronic Measures of Medisolv, Inc.